A significant number of homes suitable for first time buyers could flood the UK market in the coming year as new research suggests hundreds of thousands of landlords are looking to sell up. 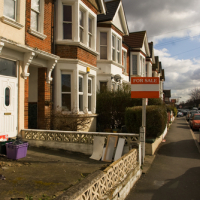 Some 380,000 landlords, around 19% of those in the private rented sector, intend to offload property, of which 45% will be selling flats and 33% terraced properties, according to new research from the National Landlords Association (NLA). It points out that these kind of properties that landlords intend selling are typically affordable and attractive options for those taking their first steps onto the property ladder. The research also found that just 7% of landlords who plan to sell say they intend to sell to other landlords, another sign that these homes could go to first time buyers. ‘These findings sound like positive news for potential new home owners, but the reality is not everyone wants, or is in a position financially, to buy,’ said Richard Lambert, chief executive officer of the NLA. ‘In fact, if all these homes are sold as planned then it will lead to a significant fall in the supply of property available to those who choose to rent, or have no other option but to rent,’ he pointed out. The NLA has been looking at the relationship between landlords and first time buyers in the market. The finding form part of a NLA discussion paper on the issues aimed at providing a more accurate picture of the state of play. ‘Everyone seems to have a gut instinct about the extent to which they feel landlords and first time buyers compete for homes in the UK, but home ownership is a highly emotive issue so the facts are often overlooked,’ Lambert explained. ‘There’s certainly no denying that competition exists, but the significant barriers to homeownership are more likely to be the high cost of a deposit or ability to access mortgage finance,’ he added. One landlord in Edinburgh has spoken out about how he is planning to sell up due to recent tax changes. ‘I’m selling six flats right now so I can bring my debt down because we won’t survive these tax changes, it’s just not possible,’ he told the NLA. ‘We’re trying our best to charge a reasonable amount of rent, but when we sit down and do the figures, it is just crazy. I always thought as I got old, I would be able to sell my business for somebody else to take on, but with all these tax changes I personally don’t think in 25 years there’ll be buy to let landlords,’ he said. ‘There will be these new corporations that build houses. It’s taken something like 22 years to build up the business but I now realise that now we’re going to lose probably half of it. I think it’s a big, big mistake this tax change. It’s a tenant tax, that’s all it is,’ he added.